Hansa Diamonds is happy to make jewelry repairs for the lifetime of everything we sell. This covers repairs due to normal wear and tear and manufacturing defects only. We will not replace lost center diamonds in engagement rings, solitaires, or bridal sets. Repairs due to customer negligence or abuse may incur a charge. Call us to discuss any repair issue at (877) 678-6786. • All items 14k, unless specifically stated otherwise. • Many items available in Platinum, please call for pricing and info. • Ladies stock size is 7,unless otherwise stated. • Mens stock size is 10, unless otherwise stated. • All merchandise is available as finished jewelry only. • We accept Mastercard, Visa and Paypal. • Due to diamond and gold market price fluctuations, price may increase or decrease from time to time without notice. • Special order merchandise may not be returned. • Sized rings may not be returned. • Fax your order anytime 24 hours a day, 365 days a year to (212) 730-1866. A fax order form is included with this catalog. 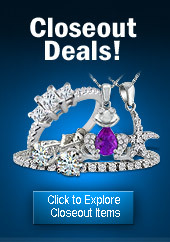 • You may access www.HansaDiamonds.com for product information and pricing. It is necessary to register on www.HansaDiamonds.com to view pricing. Please have the following information ready when you call: Company name, Phone number, Person placing order, Style number, quantity, PO number (if available). • Defective items will be accepted for immediate replacement. • Call for Return Authorization number. • Return Authorization number MUST be on outside of box. • Send item to: Hansa, 18 East 48th St., 3rd Floor, New York, NY 10017. • Please include a copy of the original invoices, RA number, and reason for return. • Merchandise must be received within 15 days of invoice date. This includes, but is not limited to, Rapid items, Production items, Gold colors not carried in stock, Gold karats not carried in stock, and Gemstone items not carried in stock. • Shipping and insurance charges are not refundable. • We use only Federal Express for COD accounts. • We ship the following: Federal Express 2nd day, Standard Overnight, Priority Overnight, Next-Day Saturday, UPS Next Day Air, 2nd Day, 3rd Day. • Stock items will be shipped a maximum of 2 business days from order receipt. • All orders will be charged shipped and insurance. This includes backorders. • We will make every effort to keep shipping costs at a minimum. Please let us know whether to ship Complete (wait for full order to be ready) or 2 Shipments (in stock then back orders). • To open an account with Hansa USA, it is necessary to fill out and mail in the original copy Credit Application. We also must have a copy of your Tax License. • #1 rated JBT accounts are eligible for Net 30 days upon receipt of completed Credit Application. • All orders will be shipped COD until credit is approved. • All invoices are due and payable 30 days from date of shipment. • A 2% per month service charge will be added to invoices unpaid after 30 days. There will be no exceptions. • Past due accounts will be shipped COD. • There will be $20 charge for returned checks.